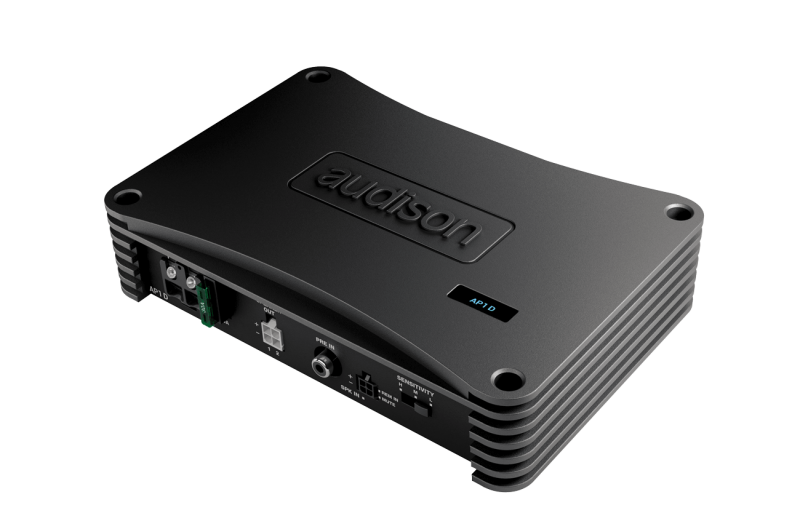 The AP1 D amplifier was designed to drive a subwoofer and is the ideal extension of the AP8.9 bit and AP4.9 bit. At 2 Ohms it is stable and can supply 540 W power with extremely compact dimensions. With the APTK 3 (Audison Prima Tower Kit 3) stacking system it’s possible to stack the AP1 D and save space without any problem of overheating.